Working in travel healthcare is unique and exciting. But what’s it like to go solo for the first time? Aureus Medical has some tips. Be mindful about packing. Beyond what’s included in your housing package, you’ll want to include personal items to make you feel at home. Research points of interest, local restaurants, and hidden gems in advance. Determine the nearest grocery store, gym, and coffee house. Once onsite, your co-workers will have recommendations. Some may want to join you. Avoid relying on fast food and take out. Make time for menu planning, shopping, and prep so you have well balanced meals ready to go. First day jitters? Be positive, friendly, and ask questions. Make it known you’re there to help the team, not to change the team. One of the best things about traveling is the people you meet. A fear of loneliness is often short lived. Say yes to invites and extend your own. New encounters may turn into long lasting friendships. Take advantage of your days off to see and do. Go it alone or plan a group outing. Stay in contact with friends and family through social media, Skype and Facetime! 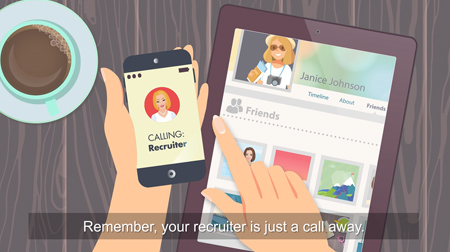 Remember, your recruiter is just a call away. Flying solo can be rewarding and empowering. Choose how to make the most of your career and the experience.